I’m very sad to say my friend, Richard “Korky” Korkes, passed away at age 80 on July 2nd. Originally from Whippany, NJ, Korky was a talented car customizer and builder and worked for George Barris from 1964-1968 and had his own shops called Kustomotive & Korky’s Kustom. 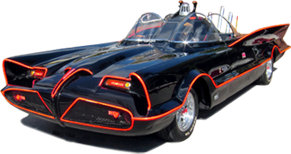 He worked-on and built: The ’66 Batmobile, the 3 Batmobile replicas, Batcycle, the first Batgirl cycle, the Munster Koach, Coffin Car, Corvette Summer car, Farrah’s Foxy Vette, NFL & MLB golf carts, the Zebra Mustang, Mannix car, the Green Mamba, the Parisienne, the car from Corky the movie, KITT from Knight Rider and many, many others. 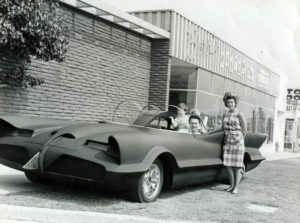 He even painted Batgirl’s boots for the Batman TV show and got paid $100.00. He worked with actors like: Robert Blake, Evel Knievel, James Garner, Adam West, Frank Sinatra, Elvis, Tom Daniels, Pat Priest, Mark Hamill, Bob Hope and many, many others.